If you’ve ever fallen so deep into a beauty blogger Instagram wormhole that you become convinced to order an entire shelf’s worth of new products, only to wind up with massive regret when they arrive and just don’t seem as great in person, the team at Byrdie has a solution. The website is a leader in beauty and skincare content, and their editors do their best to pick out the products that really work, but they realize there’s more to finding the perfect cream, perfume, or lipstick than just reading reviews. To bring that tactile experience to life so you can see, touch, smell, and try out new products–but without the pressure tactics of retail clerks who may be more motivated by making commissions than actually helping you find your holy grail product–they’ve developed the Byrdie Beauty Lab. Open through July 29, the space might look like any other boutique when you walk in, but you’ll quickly notice the lack of sales people or registers. The staff who are on hand will hand you a cute travel makeup pouch and set you loose to play with editor-selected picks across a variety of beauty categories. If one intrigues you, grab a free sample from a basket below the tester and drop it in your pouch. Or, if you can tell it’s love at first swatch, use your phone to scan a QR code and a custom Amazon shopping screen will guide you through the ordering process. Products are set up by category, not company, so you can do the kind of side-by-side comparing that Byrdie editors might get to do in their L.A.-based office, when they narrow it down to the best moisturizers, sunscreens, or shampoos on the market. 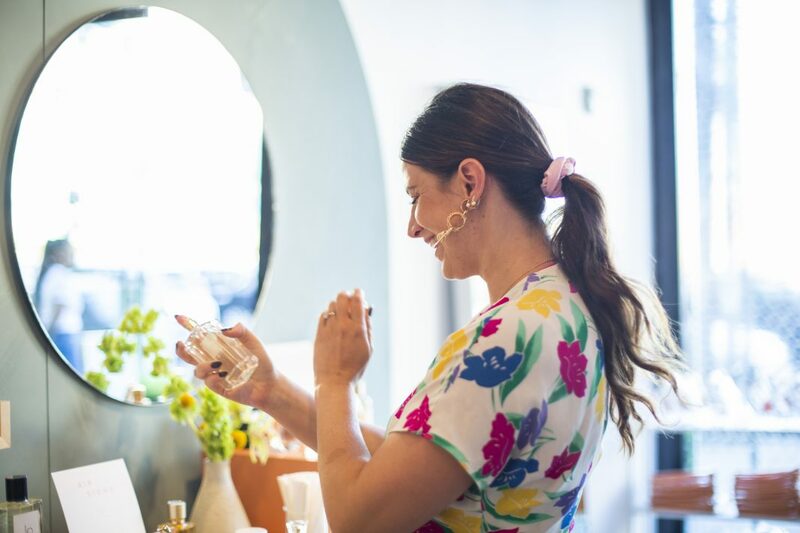 If you’re ready to go even deeper, reserve a spot for one of the workshops that will held in the Beauty Lab, where a-list names in the beauty world like Kate Somerville and Vincent Oquendo. 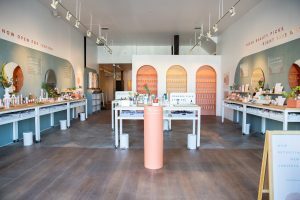 Byrdie Beauty Lab runs through July 29 at 611 N. La Cienega Blvd. West Hollywood. Admission is free; advance reservations are required only for workshops.